Rest Easy old GOAT. 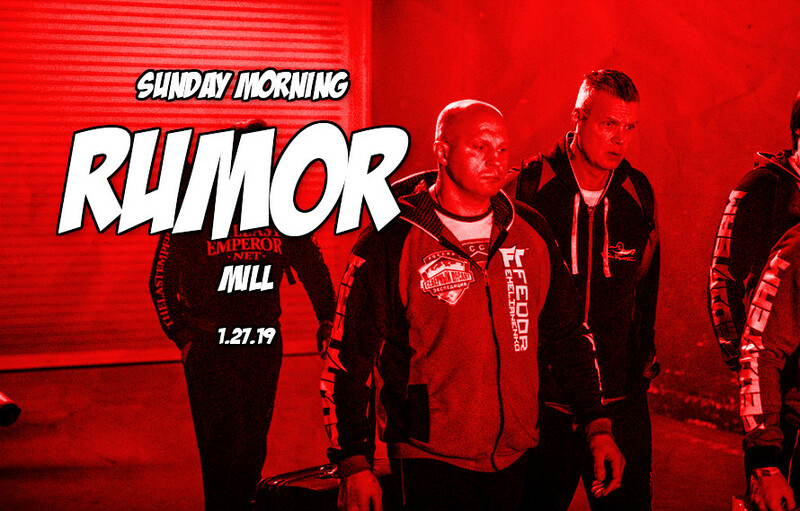 Fedor lost last night and we’re not sure we should even share any MMA rumors in the the Sunday Morning Rumor Mill. Today (Jan. 27) should be an international day of mourning. Pride finally died last night inside the Bellator cage. To of all people an ex-UFC fighter who could never string enough wins together to get himself a title shot. Sigh. Sure Bader has improved a lot over the past two years, but this is Fedor we are talking about here. We are sad and you should be to. It’s the end of an era and that era of MMA will never be duplicated again in our sport. Sorry. Take solace, hope springs eternal and at least today is Royal Rumble Day, which also happens to fall on Rusev Day. Before you watch not one but two Rumble matches tonight, spend some time with your Sunday Morning Rumor Mill; it will cheer you up. It looks like last night may be in fact Fedor’s final fight. Rumor is though his career may be done in Bellator, The GOAT could be interested in one final fight in Russia at the end of the year. Ryan Bader is rumored to have only one fight left on his Bellator contract. The Bellator Grand Prix winner may find himself in a bidding war if he hits the free agent market on a winning streak. Huge if true, but Conor vs. Cowboy is now a fight the UFC is at least considering. Conor McGregor versus Cowboy Cerrone could the first of multiple fights for the UFC’s biggest draw in 2019. Rumors have started to surface that Ronda Rousey’s run with WWE may have an end date. Rousey’s WWE contract runs through April 2021 and it does allow her a maternity leave if she chooses to take it. Also this week a rumor about UFC and WWE working on one more Rousey fight also heated up. It’s too early to tell if this is smoke or fire.